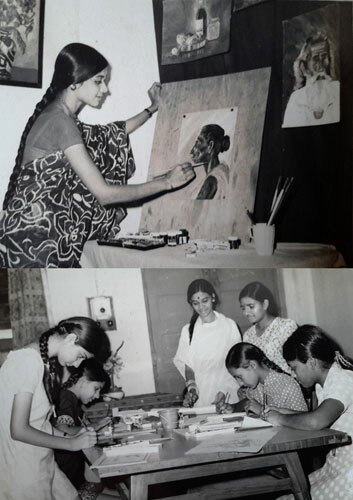 Dr. JAYASHREE RAJAGOPALAN hails from an illustrious family of artistes who have been preserving the traditional arts for the past four generations. 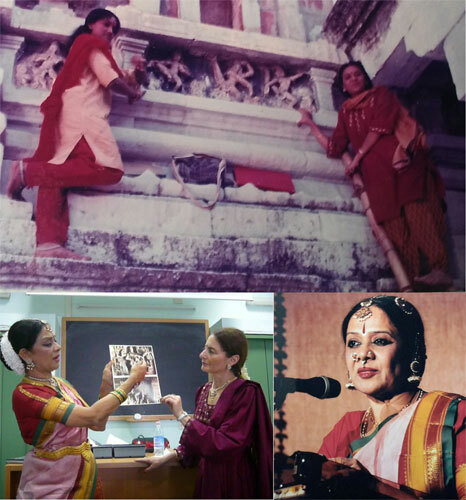 She is the foremost disciple of the internationally renowned Indian danseuse, Dr. Padma Subrahmanyam who has researched and revived the 108 Karanas of Natya Sastra , which formed the basic unit of dance movement in ancient Jambudwipa (Eurasia) and evolved a distinctive style known as “Bharata Nrityam”. Having imbibed this beautiful style with all its nuances, Jayashree has established herself as the best spokeswoman of her Guru’s unique style. 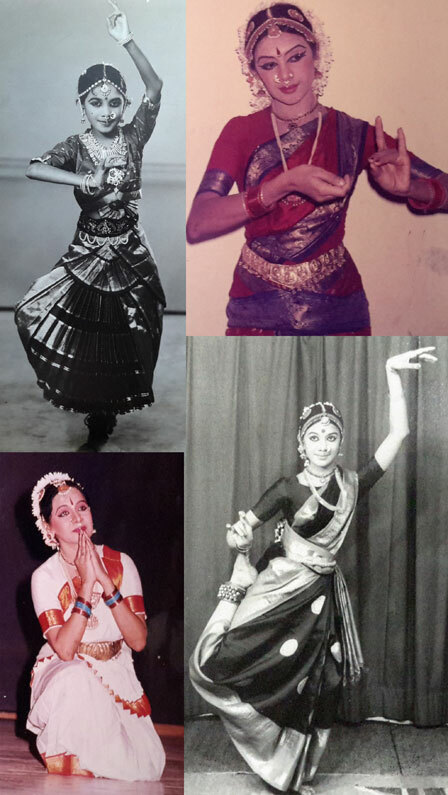 Jayashree was initiated into the art of dance at the tender age of four by her mother Smt. Leela Gopalan. Soon after, she came under the training of Guru Sri. T.S. Janakiraman and had her Arangetram at the age of eight in Rourkela. 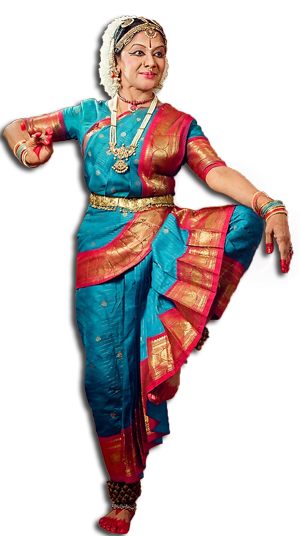 The turning point in her dance career was when she came under the tutelage of Guru Dr. Padma Subrahmanyam when she was 16, at a time when her Guru had just commenced her research in the Natya Sastra. She was lucky to be among the few who were the first recipients of her study of the Nritta Karanas. This led to her second Arangetram, in the Bharata Nrityam style in Chennai in the presence of Guru Vazhuvur Ramiah Pillai. She has perfected and embellished her art with vigorous practice, love and dedication. She has regaled audiences in almost all major cities and festivals all over India through solo concerts, group ensemble and dance-dramas. She has performed at the International Festival at Athens, Festival De La Mer at Mauritius, at Italy and at Singapore. She had the unique privilege of representing India in France in the International Summer Festival. Her lecture - demonstrations for major universities and organisations have evoked spontaneous acclaim. She conducted several workshops and lecture demonstrations in Italy in 2009, which was highly appreciated. Her research articles on dance and painting have been published in research journals and magazines. She has completed the Nritya Visharad and the Nrithyashali specialising in the study of the 108 Karanas of Natya Sastra. She has had specialized training in Nattuvangam (conducting a classical dance performance by reciting rhythmic syllables and playing the cymbals) and make-up technique. She has had training in Indian Classical Music and has even scored music for some of her numbers. Jayashree has been an excellent student through school and college, winning prizes and scholarship, with a flair for academics and Fine-art. She is a Graduate in Drawing and Painting from Stella Maris College, Chennai qualifying for the 2nd Rank in the State of Tamil Nadu with the award of National Merit Scholarship of Govt. of India. Her Ph. D research is on "Aharya Abhinaya"- as delineated in the Natya Sastra. Ph. D on ‘Aharya Abhinaya – a study’ from the University of Mumbai through the Ananthacharya Indological Research Institute, affiliated to it. Natya Sastra is the earliest extant treatise on Indian Dramaturgy, ascribed to Bharata Muni, and may be dated to about 1000 BCE. Abhinaya, according to Natya Sastra, is the art of communication classified as Angika (through physical movements), Vacika (through words), Satvika (through emotions) & Aharya (through make-up & decor). Aharya Abhinaya represents all the external elements of communication such as make-up, dress, jewellery, accessories and stage décor, sets, curtains and even lighting. Though Chapter 21 of the Natya Sastra is entirely dedicated to Aharya Abhinaya dealing with making of props, masks, accessories, stage décor, ornaments, dress, pigments for make-up, etc., the reference is met with throughout the Natya Sastra. This study not only elaborates on all the above aspects, but focuses on the emotional impact of Aharya Abhinaya both immediate and sustaining. That is why, Abhinavaguptacharya, the 11th century Kashmirian commentator of the Natya Sastra, in his Abhinavabharati says that Aharya Abhinaya is like the firm wall or canvas on which the other abhinayas are portrayed. 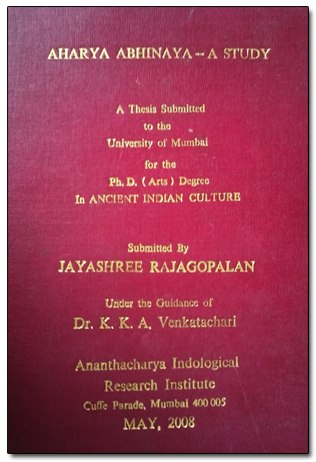 Ph.D is on ‘Aharya Abhinaya – A Study’ from the University of Mumbai through the Ananthacharya Indological Research Institute, affiliated to it. Jayashree is the recipient of the Senior Research Fellowship of the Dept. of Culture, Govt. of India for her thesis on 'The Marga Talas of Tiruppugazh of Tamil Nadu and Manipuri Dance'. The study shows the similarity between the Chanda Talas employed by Arunagirinathar in his Tiruppugazh (Songs in praise of the Divine) and the Talas used by the Manipuri dancers and mridangists, tracing the origins to the Sankirtana padati of Bengal and the Prabandha technique of music codified in the Sangita Ratnakara. The commonality is very distinct in the fact that both these systems give importance to the ‘varnas’ of the chandas than the kriya of the Tala Dasa Pranas. As a research product, some Tiruppugazh rendered in Manipuri Talas have been choreographed in the Bharata Nrityam style and were showcased in the seminar on “Rhythm in Indian Dance and Music”, in Mumbai. She has also undertaken research and discussion with scholars and sankirtanakars on the philosophy and religion of Varkari Siants of Maharashtra who established the ‘Namasankirtana’ tradition. The National Merit Scholarship of the Govt. of India for further studies by securing the 2nd State Rank in B.A. The Steel Authority Scholarship for securing the distinction in ISC. Click to zoom the image. Founder Director of Nrithyodaya- the Academy of Performing Arts, Mumbai . Deputy Director of Ananthacharya Indological Research Institute, Mumbai. The Chief Examiner, PhD. Guide & visiting professor at Centre of Performing Arts Pune University. Faculty member for the Distance Education Course- BharataNatyam of the Sastra University Tanjavur. A graded artiste of Doordarshan. She has participated in all the episodes of her Guru’s T.V. Serial “Bharatiya Natya Sastra”, commissioned by Doordarshan, New Delhi. 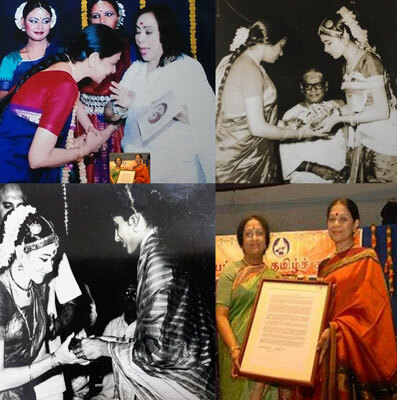 With a sincere ardour to impart this art form to the aspiring and talented youngsters, she had established the dance institution, “Nrithyodaya-The Academy of Performing Arts, Mumbai”, training students in the theory and practice of the art for several years. 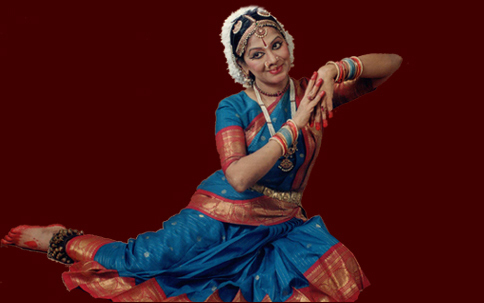 Nrithyodaya prides itself of having brought out many excellent soloists and teachers into the field of dance. To commemorate its successful completion of 25 years, Nrithyodaya celebrated the Rajata Mahotsava – a three day dance and music festival in Mumbai in 2001. Completion of the institutes 40 years has been celebrated as Mannikya Mahotsava – yearlong events of the Dance Drama Festival, Bala Mahotsava, Vamsha-Parampara Festival, Dvanda Festival, several workshops and lecture demonstrations. Dr. Jayashree Rajagopalan has taken over the post of Deputy Director and Professor in Ancient Indian History and Culture at Anantacharya Indological Institute, Mumbai from July 2015. A.I.R.I. is a Post Graduate Research Institute offering MA and PhD. in Ancient Indian Culture, Philosophy and Sanskrit. 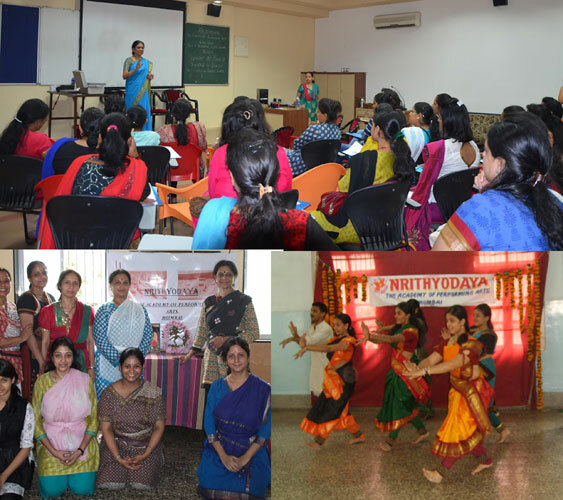 “Dance is energy Manifest” (Nrityam Shakti Rupena) – National Seminar on ‘Shakti’ – Dept. of Philosophy, Sathaye College, Mumbai. “Lord Narayana descends to destroy evil”, - National Seminar on ‘Srimad Bhagavatam, its Philosophical, Religious and Social Themes’. – Ananthacharya Indological Research Institute, Mumbai. A comparative study between the body language in Yoga and dance for the Iyengar Yogabhyasa Institute, Mumbai. “Indian Dance – Our Rich Living Tradition for Art Appreciation Course conducted by the Anantacharya Indological Research Institute, Mumbai. “Aesthetics of Body Movements” for Rotary Club of India, Mumbai. Workshop on Abhangs- for Association of Bharata Natyam Artistes of India, Chennai. “Vyayamas of Natya Sastra” for TIFR [Tata Institute of Fundamental Research]. The lectures of the ‘Satriya Dance’ of Assamese that shows its origin from the ‘Nritta’ of ‘Natya Sastra’.